Matt wasn’t always passionate about running and admits he has always struggled with his weight. When he was 15 years old, he survived being hit by a car and was told he would never be able to run again. However, a recent 70-kilogram loss has meant running is once again a reality. In February this year, Matt succeeded in running on the treadmill for the first time since the accident, and hasn’t looked back since! Matt’s journey began in 2016 when he promised his fiancé at the time that he would start taking better care of himself. However, it wasn’t just weight issues that he struggled with – Matt felt overwhelmed by the mental issues associated with being overweight. It wasn’t until Matt went to the doctors and tests uncovered a low testosterone count, causing infertility issues that found the motivation to change his lifestyle. “It’s always been a dream of mine to have kids, so I knew I had to do something,” said Matt reflecting on his experience. Using this information to kick start a change in mindset, he can now proudly thank weight loss, for his returning healthy testosterone levels.  Training for the Chevron City to Surf for Activ has only added to his motivation. Matt says the running community in general and the crew at Lords, Subiaco have been a great support. Like any human, Matt still has his tough moments, but says knowing how far he has come and being able to inspire others on their journey is what keeps him going. Matt is a public speaker who works to educate personal trainers and healthcare professionals of the internal battles overweight and obese people experience. He explains that an overweight person should never be judged because the connection between weight and mental health is far too great. Matt not only wants to smash the 4k run in under 40 minutes this year but has plans to return even stronger for the 12k run next year. His final inspiring words to others who are in the same situation and thinking about doing the City to Surf?